Kaneyama castle (金山城) of Mutsu province is located at located on Kaneyama mountain, one of about 100 meter height at the south of Kakuda basin. 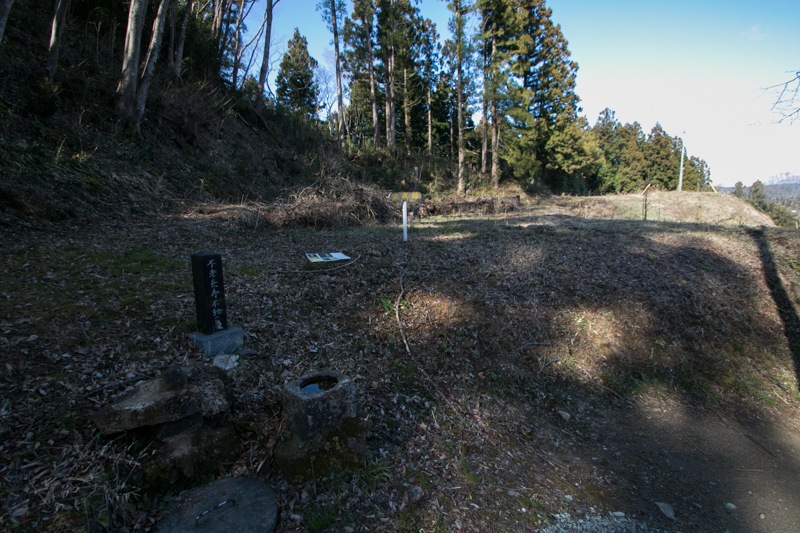 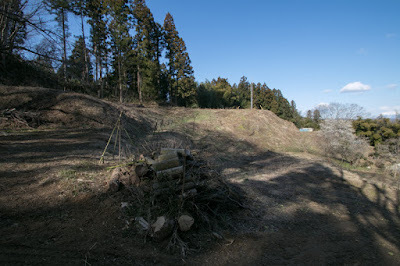 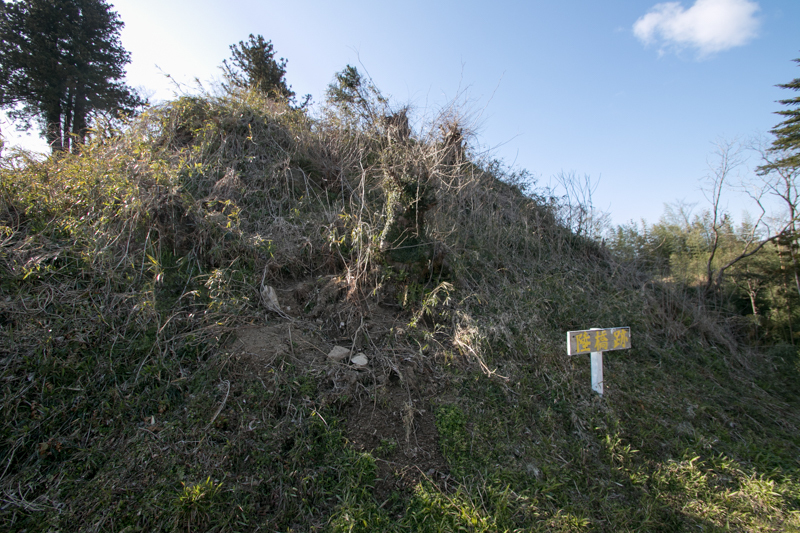 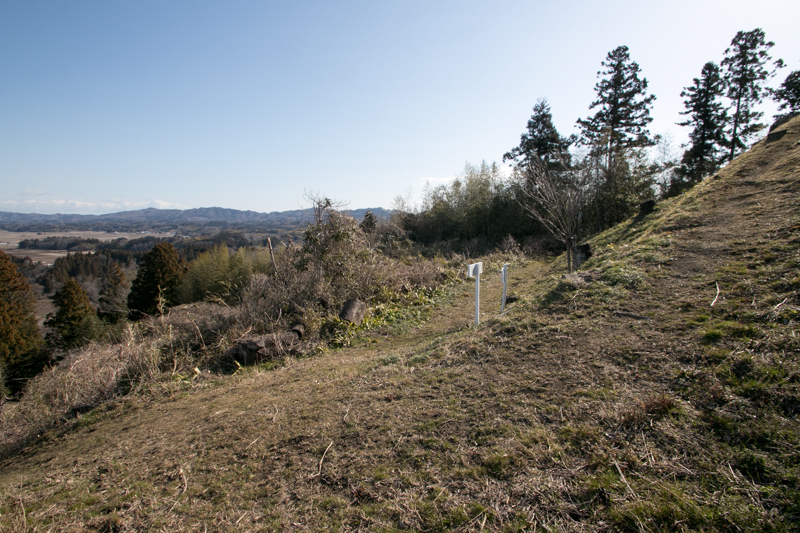 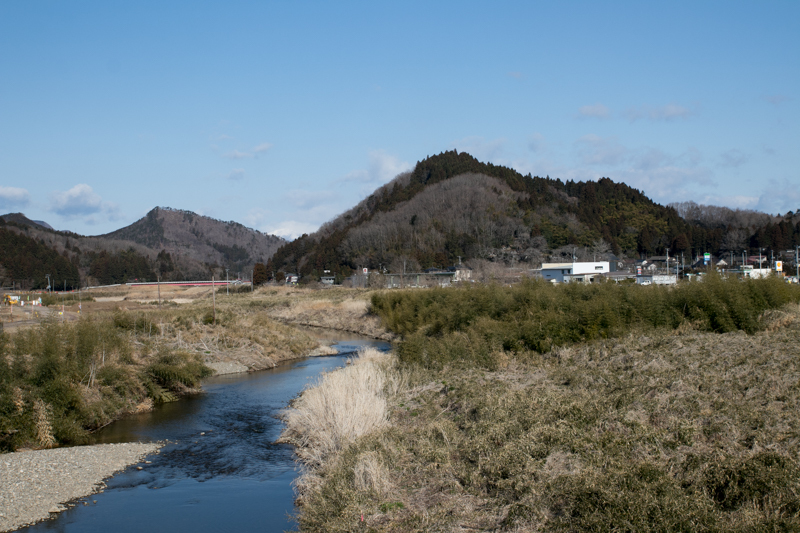 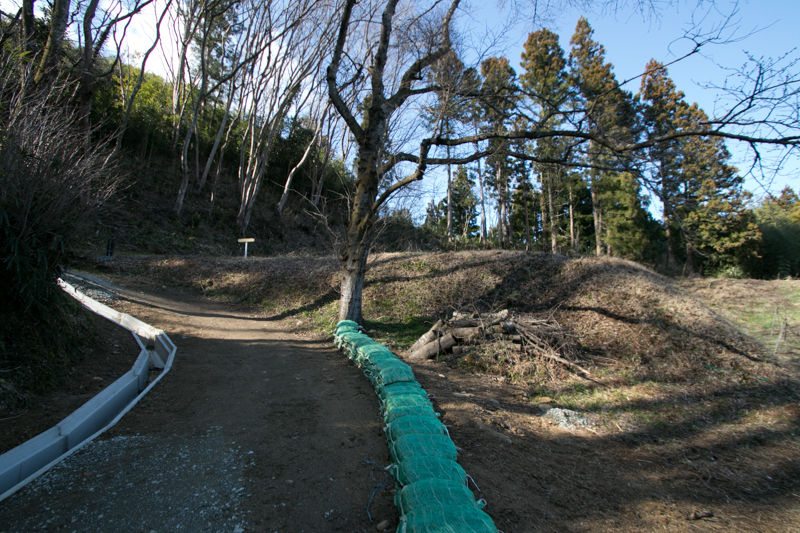 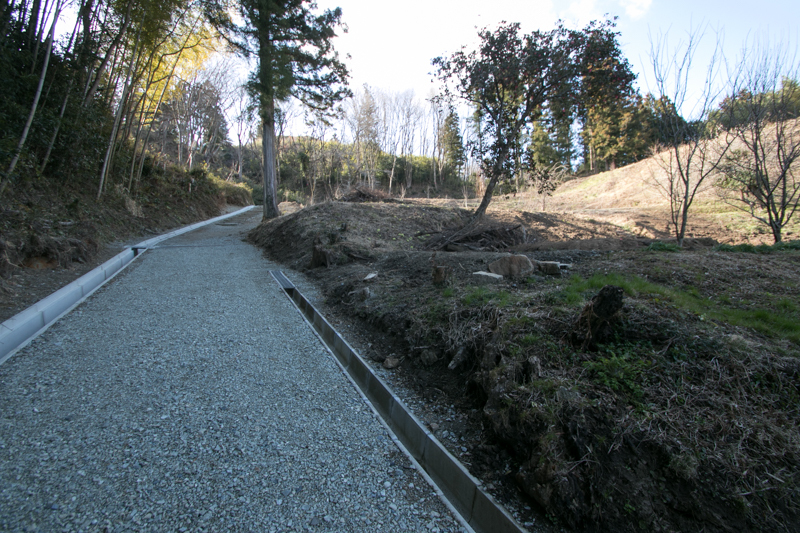 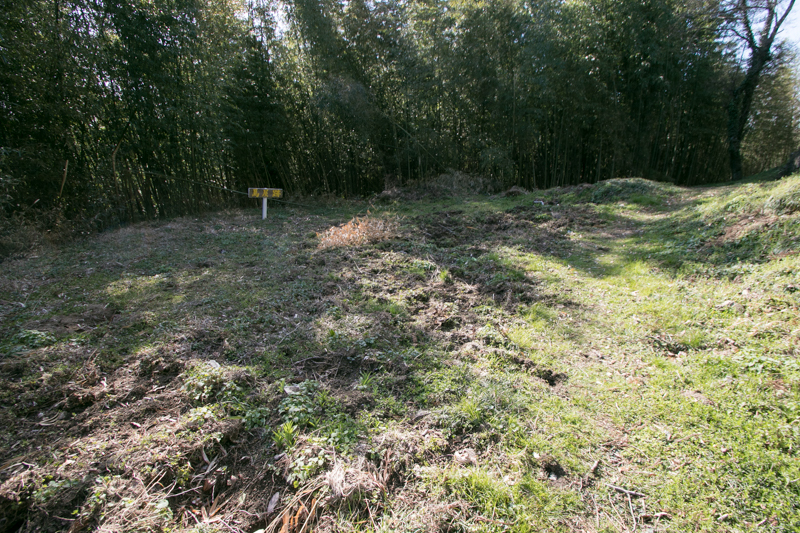 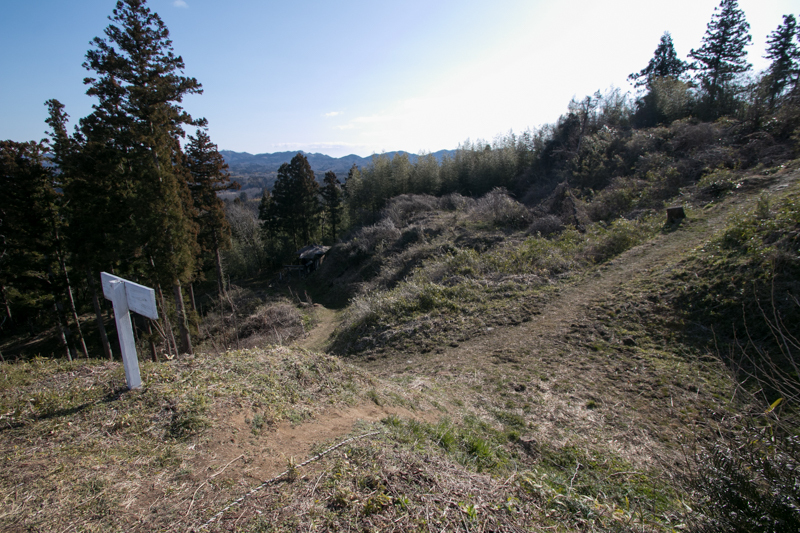 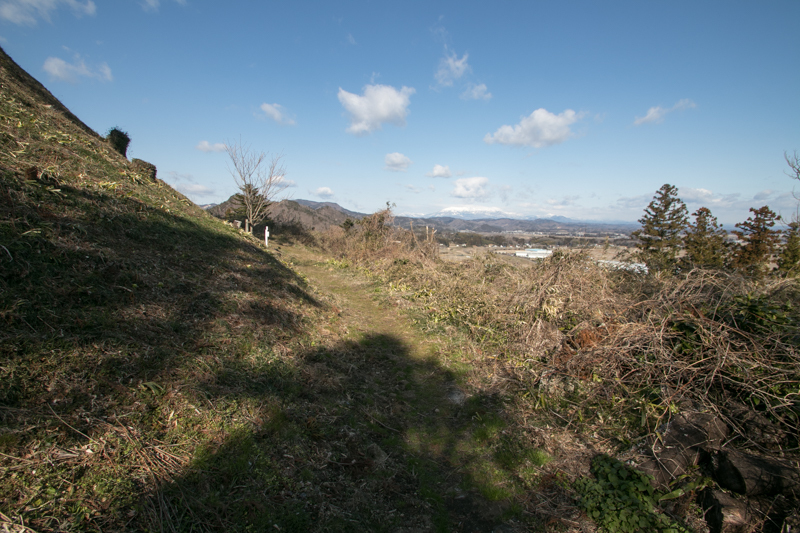 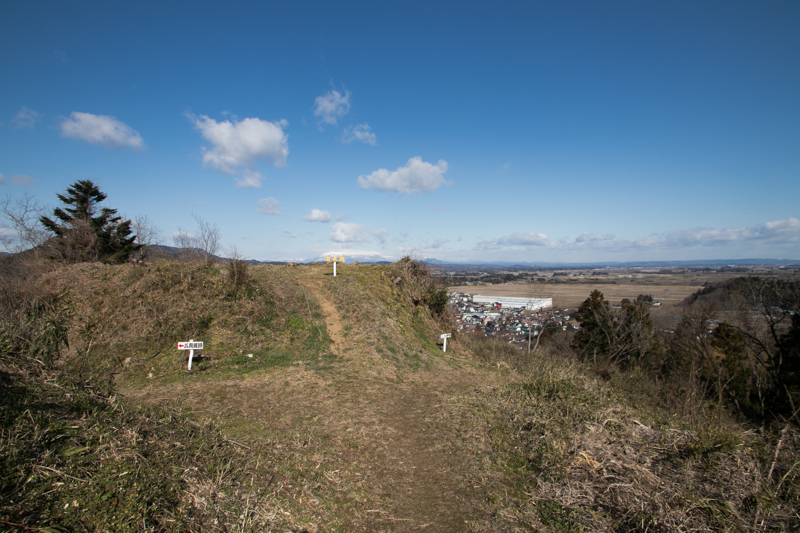 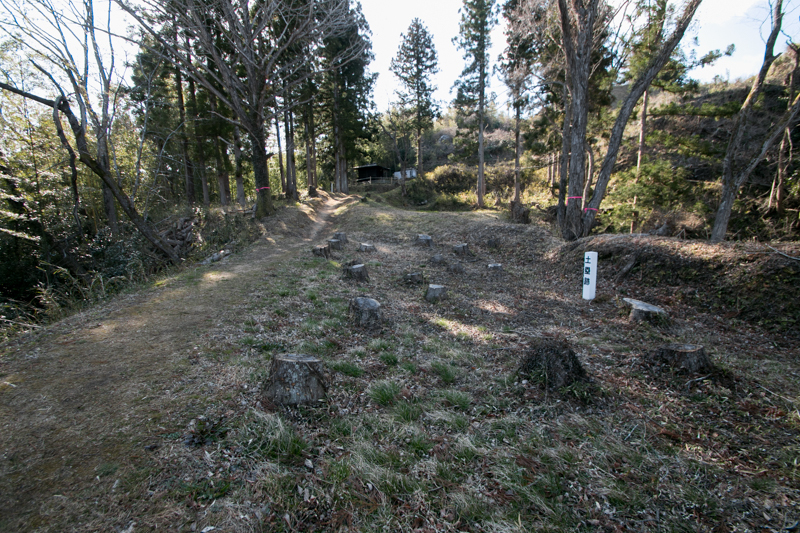 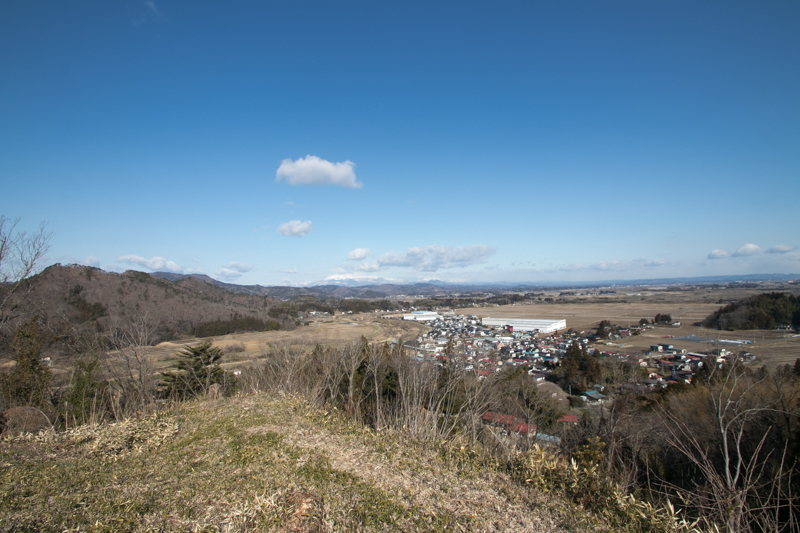 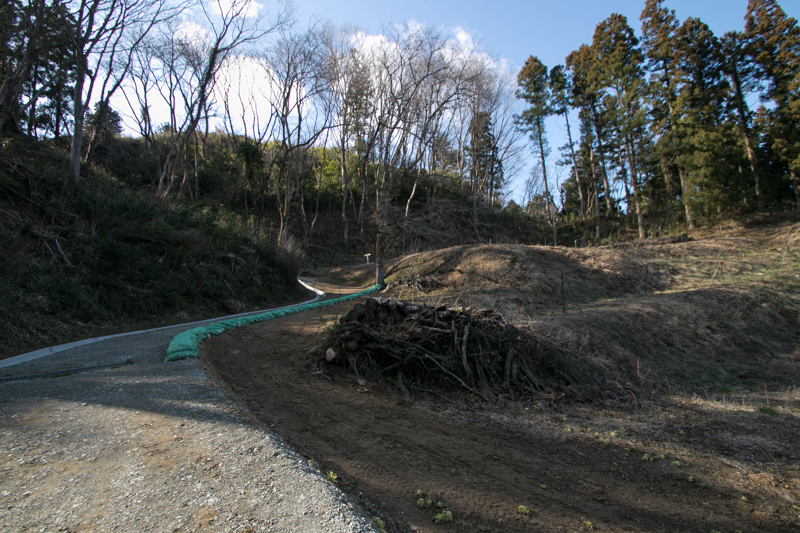 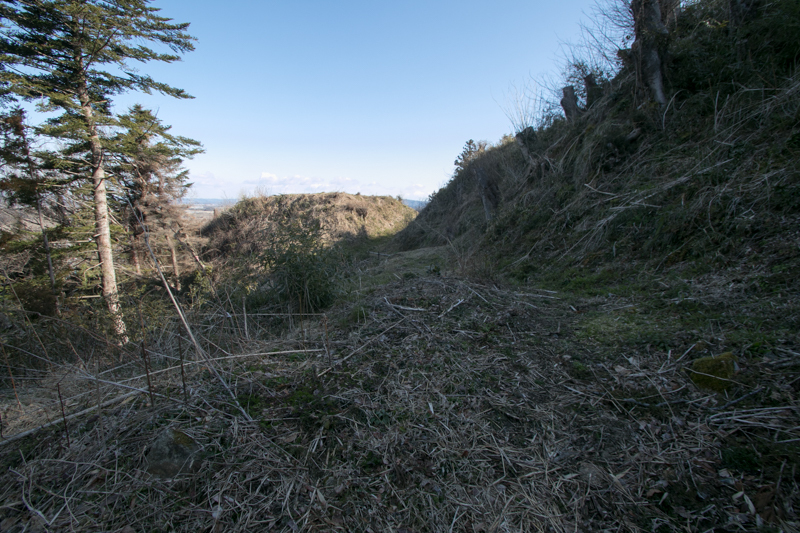 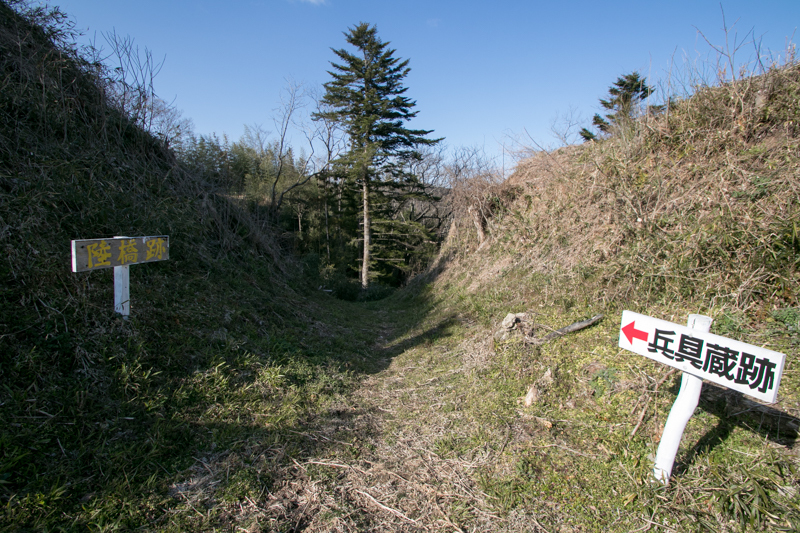 Castle site is at the place that Abumuma-gawa river flows northward through Fukushima basin turned to east and passes Abukuma valley, then curved to north toward Pacific Ocean. 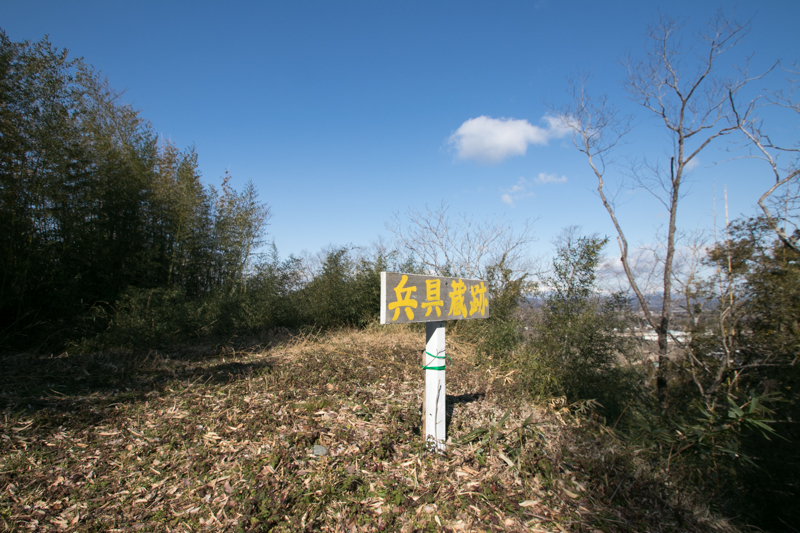 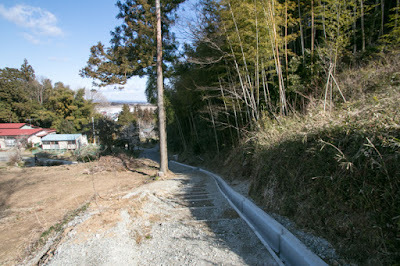 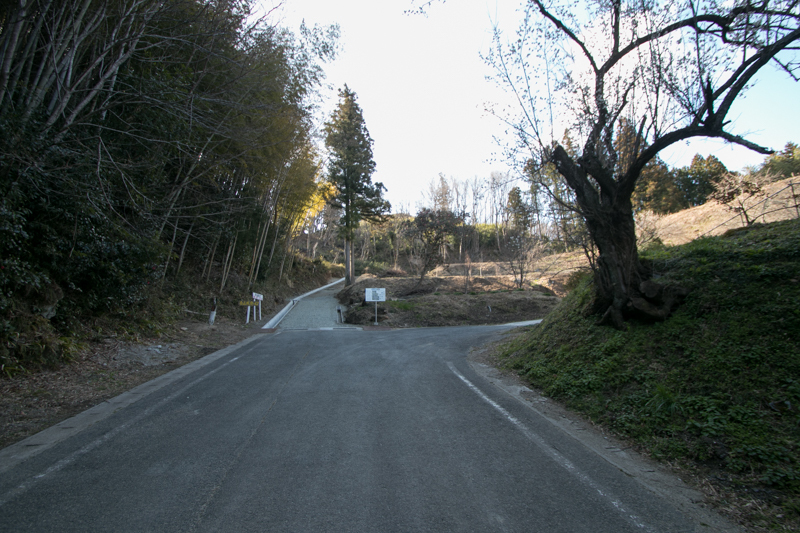 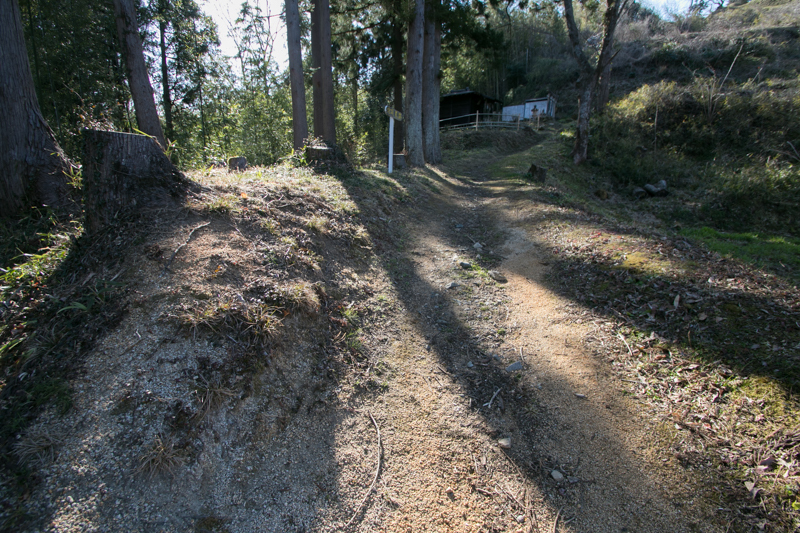 Today main road connects Fukushima basin and Sendai plain directly cross mountains toward Shiroishi city, but narrow road of Abukuma valley was another important road today used as a ground of Abukuma Kyuko Railroad. 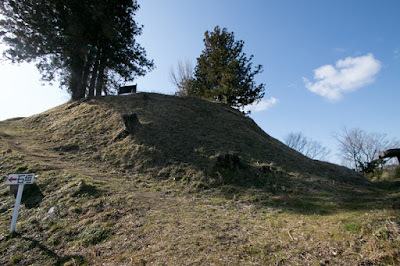 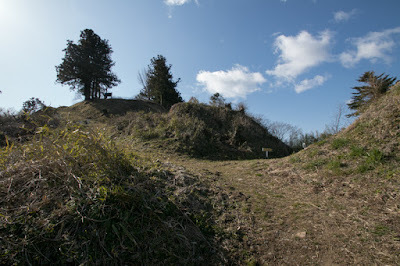 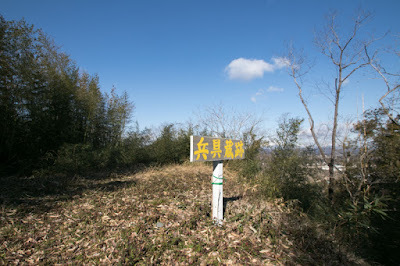 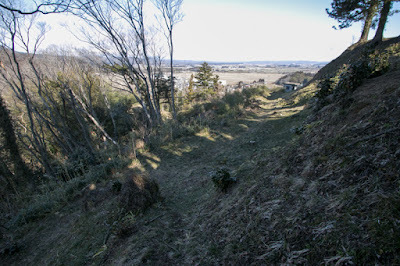 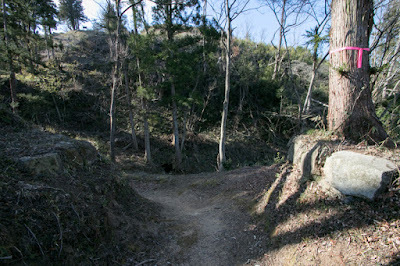 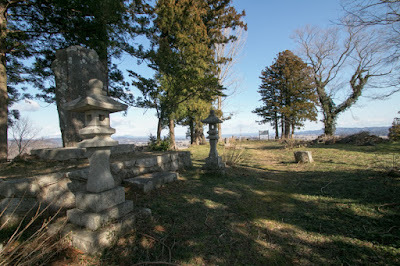 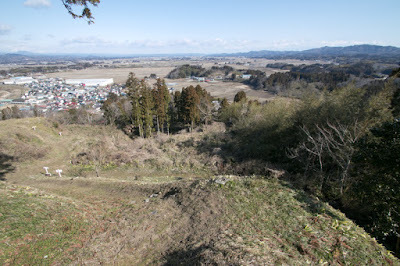 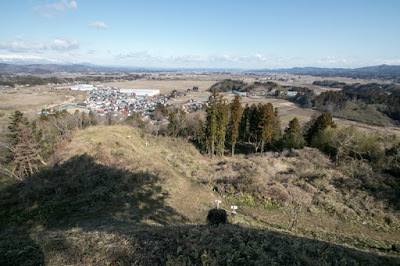 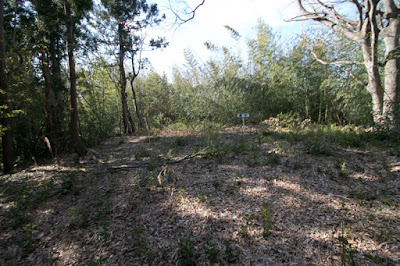 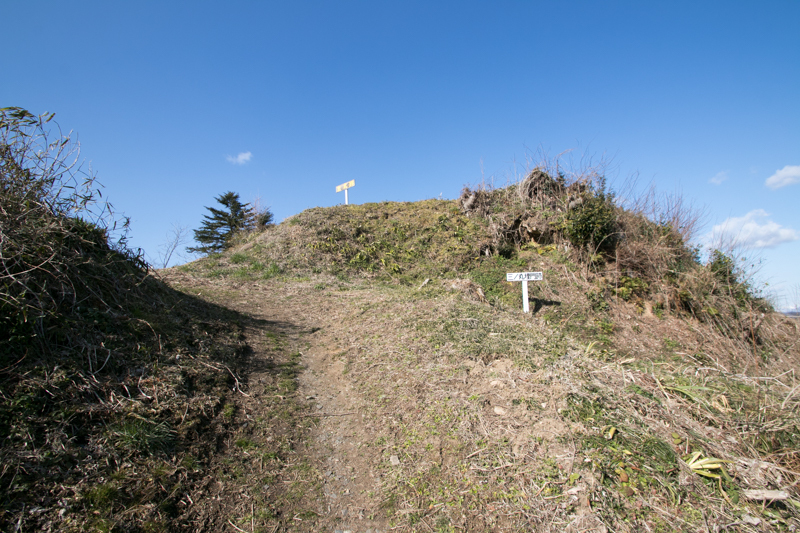 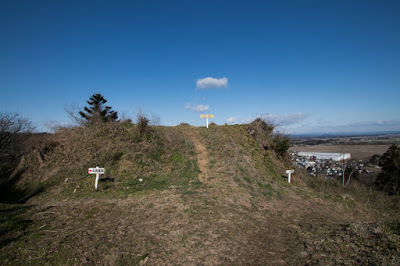 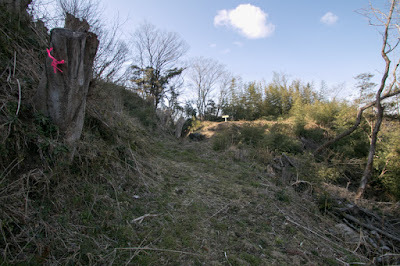 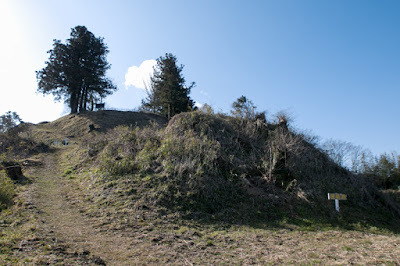 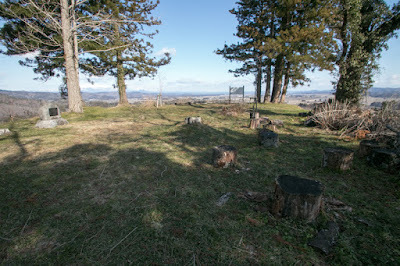 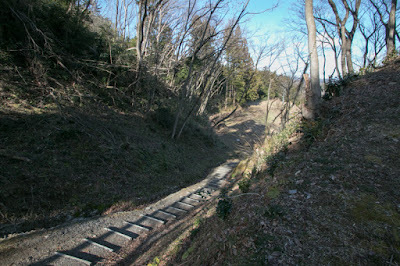 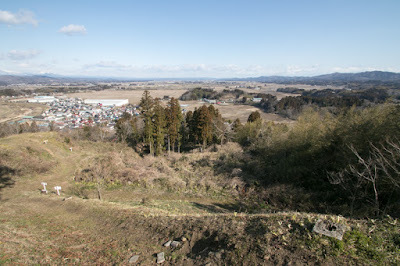 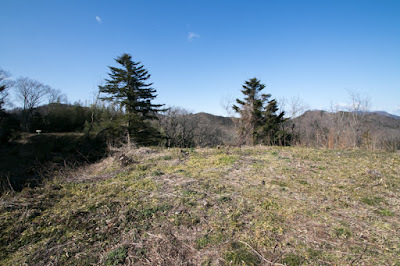 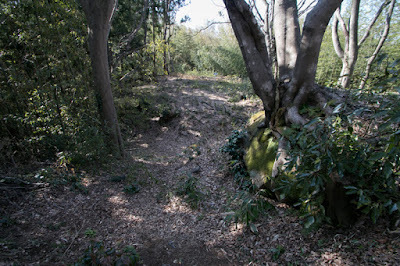 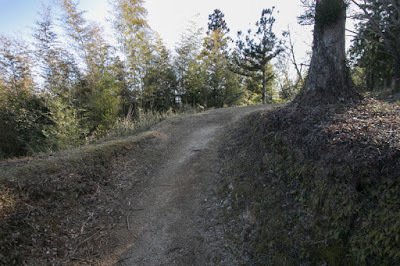 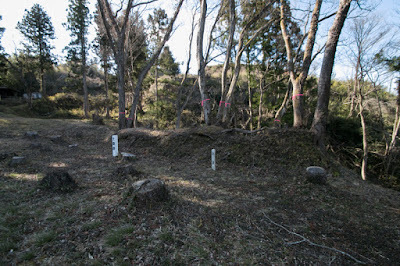 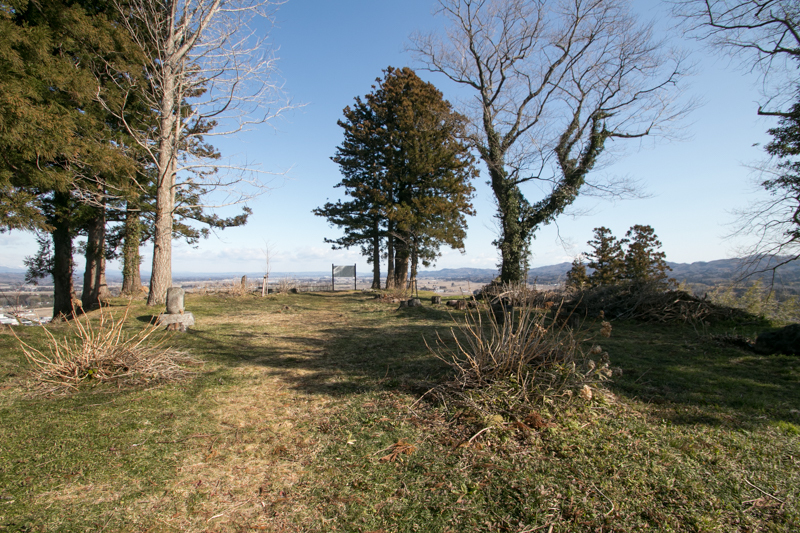 Furthermore, castle site has another important to connect Sendai plain and Soma area, a narrow and long coast plain continues toward Ibaraki prefecture. Because of this geographical reason, Kaneyama castle was an important border fortress of current Miyagi prefecture along with Shiroishi castle. Kaneyama castle was built by Soma clan, a traditional local lord reigned coastal area of current Fukushima prefecture around 1566. Soma clan was a descendant of Tsunetane Chiba (1118-1201), a local lord of Shimousa province (north part of Chiba prefecture) supported raise of Yoritomo Minamoto (1147-1199) who was once defeated at the battle of Ishibashiyama then escaped to Boso peninsula. 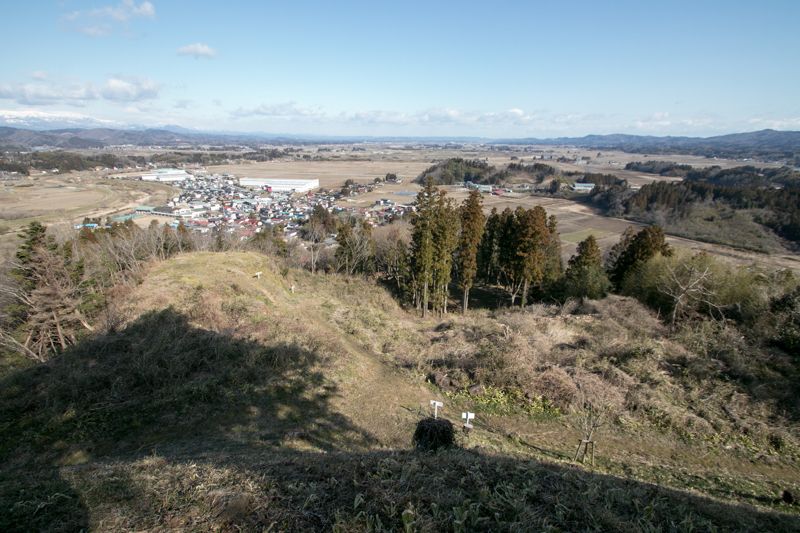 Throughout 15th century, Soma clan gradually grew their power and expanded into the middle part of coastal area of current Fukushima prefecture, from their two main bases Nakamura castle and Odaka castle (Fukushima prefecture). 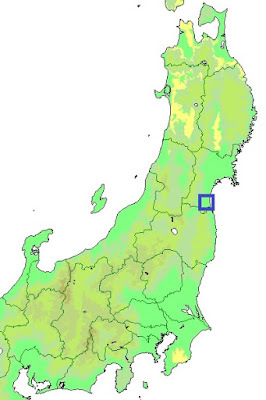 Furthermore, in the beginning of 16th century, Soma clan suppressed Iwaki clan and expanded into south part of coastal area. 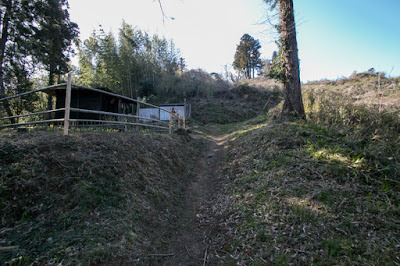 In 1542, at Date clan which was the strong lord of Kori Nishiyama castle (Fukushima prefecture) held Date providence and Yonezawa basin next to Soma clan, an internal conflict named “Tenbun no Ran” occurred between Tanemune Date (1488-1565), the leader of Date clan, and his son Harumune Date (1519-1578). As Akitane Soma (1508-1549), the leader of Soma clan, married with the daughter of Tanemune, Akitane belonged to Tanemune and rescued him confined at Kori Nishiyama castle. In 1566, Moritane Soma (1529-1601), son of Akitane Soma, broke Date army then advanced into Kakuda basin. 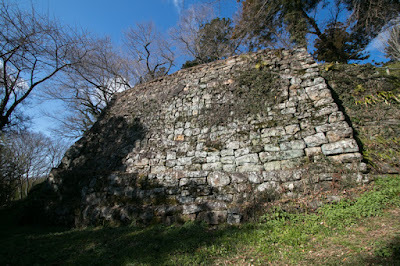 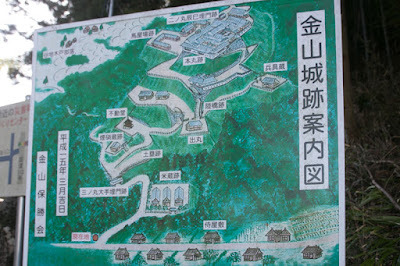 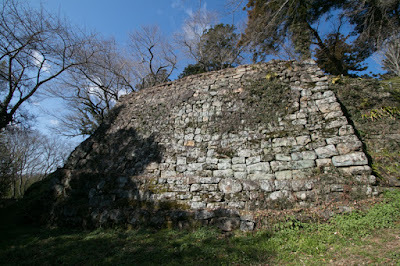 Soma army captured Kaneyama area and built Kaneyama castle as a bridgehead to Kakuda basin. 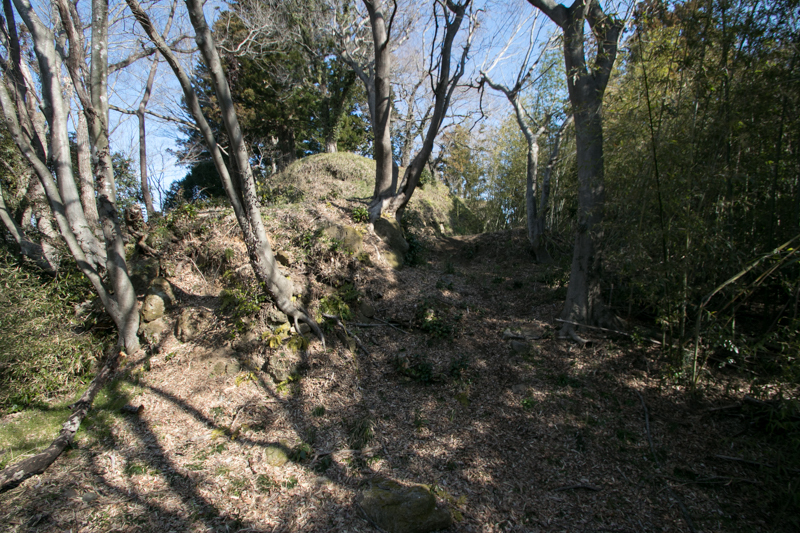 From Kaneyama castle Soma clan attacked surrounding castles belonged to Date clan, and finally seized Marumori castle in 1570 then captured whole part of Kakuda basin. 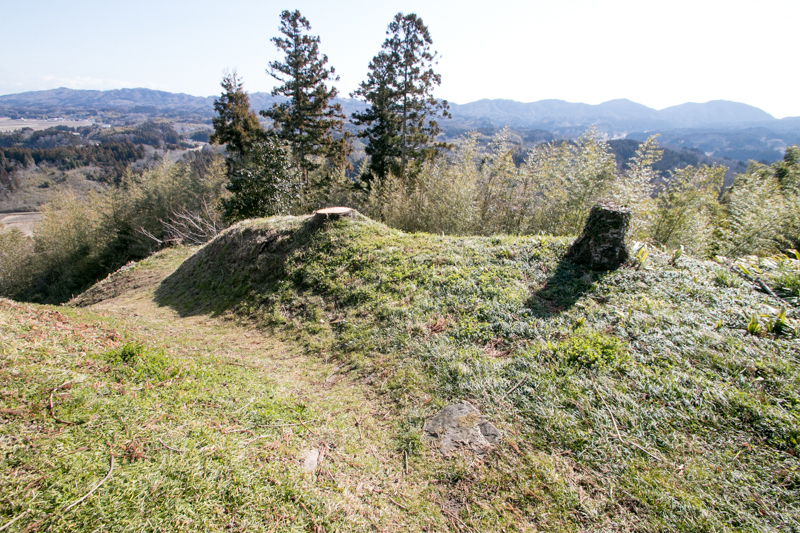 Around this time, Soma clan grew into a strong warlord which held over 60 kilometer long territory along with Pacific Ocean. 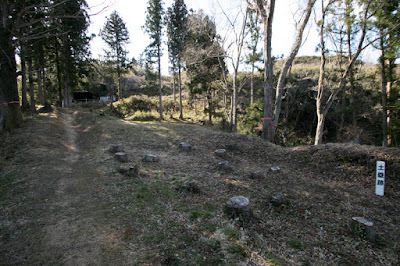 But just after that, Terumune Date (1544-1585), son of Harumune Date, won over Tamura clan at the next of south part of Soma clan by marriage of his son Masamune Date (1567-1636) and female of Tamura clan. 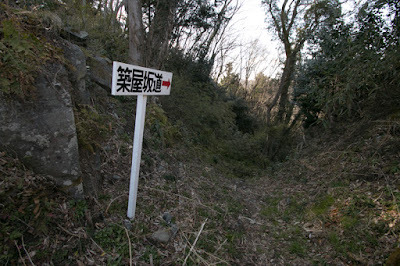 Soma clan continued brave fight against Date clan with less army long year, but situation became worse and worse. 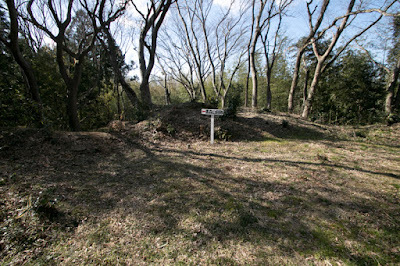 In 1581 Masamune Date experienced first battle at the siege of Kaneyama castle, and in 1584 Soma clan had to make peace with Date clan leaving Kakuda basin including Kaneyama castle and Marumori castle to Tanemune. 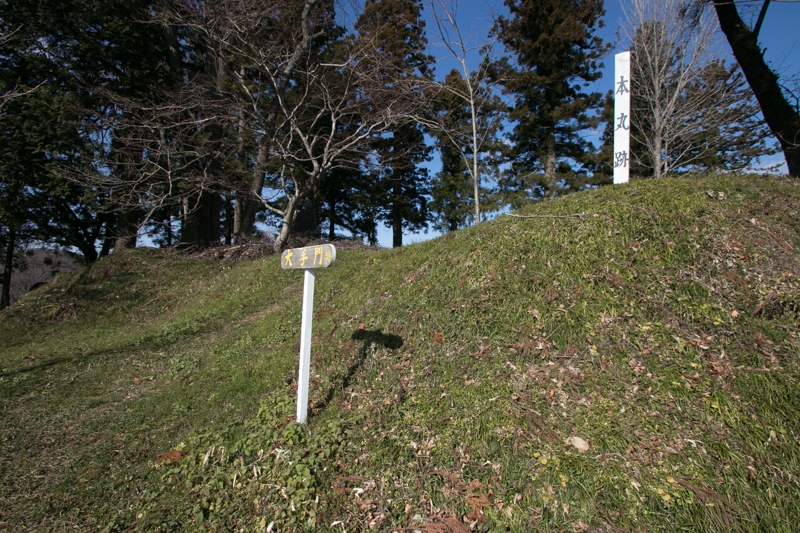 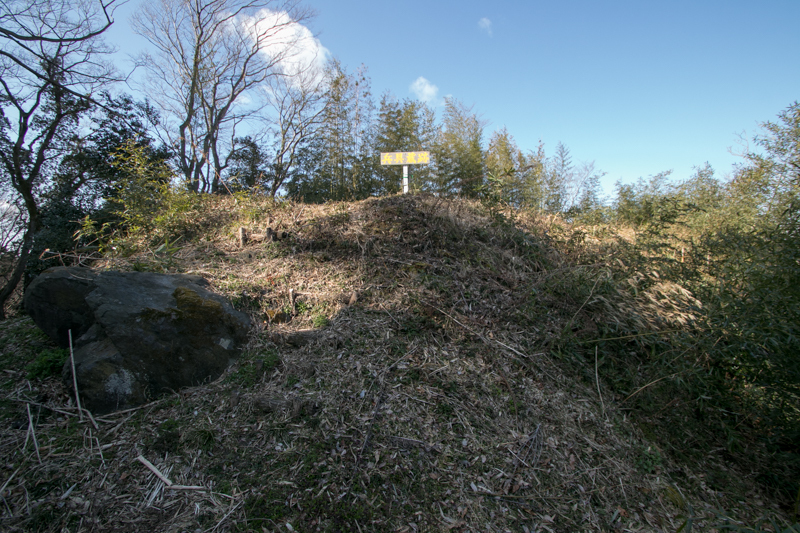 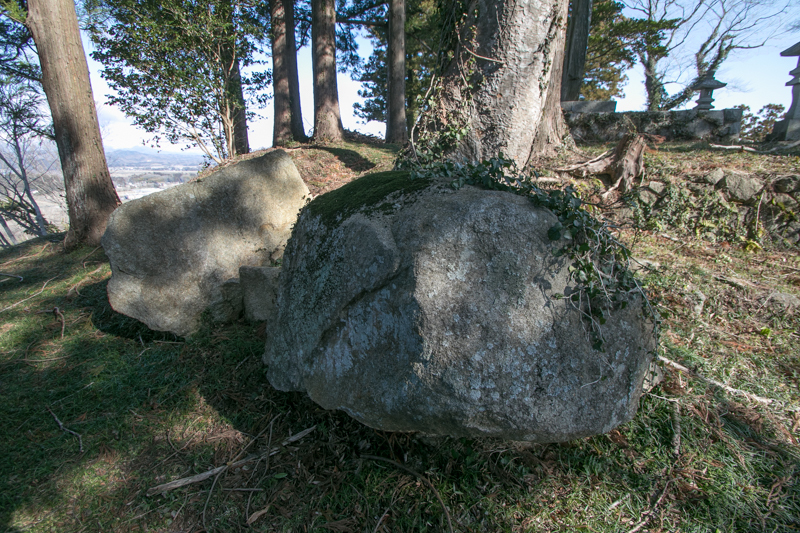 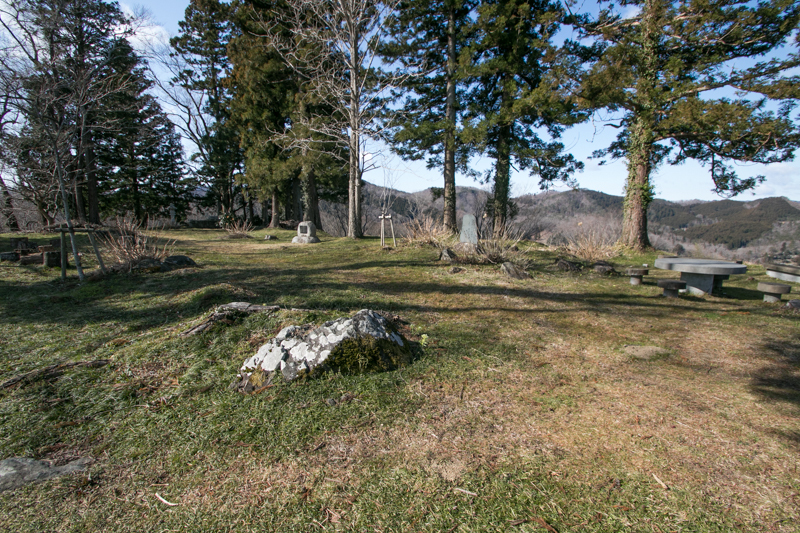 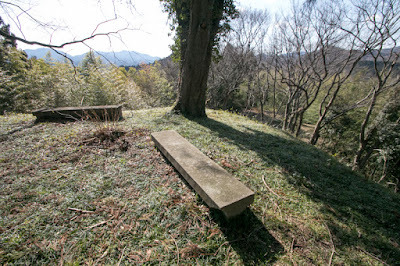 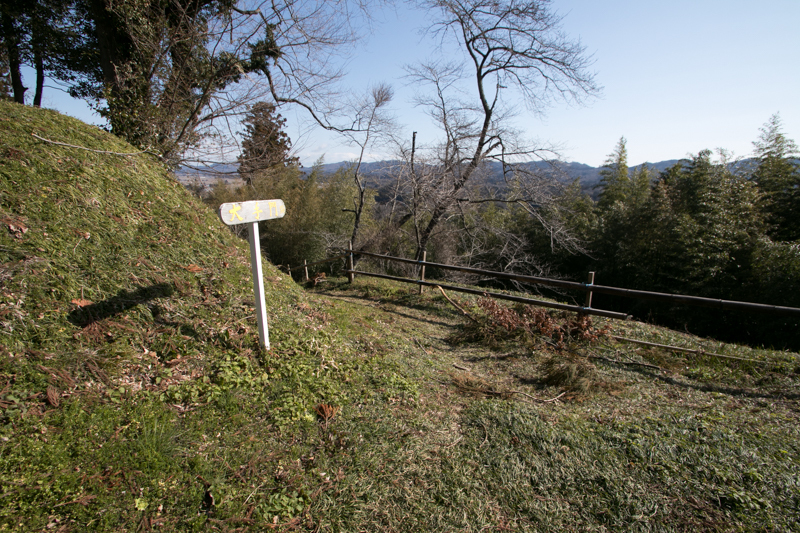 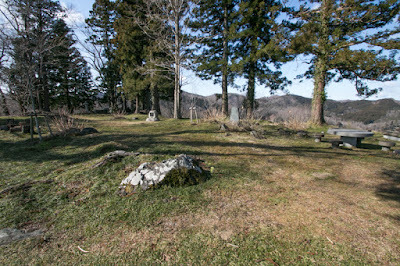 Terumune placed his retainer Munemoto Nakajima (1552-1622) who activated at the siege of Kaneyama castle as the commander of occupied castle. 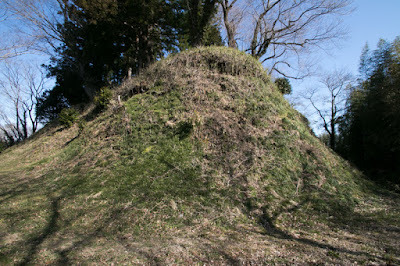 Furthermore, in 1556, Kaneyama castle was expanded as a front base toward Soma clan. 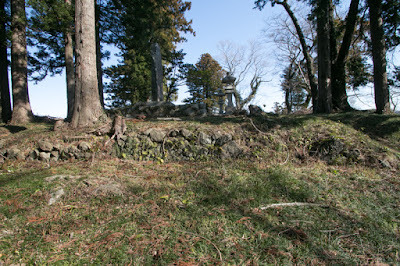 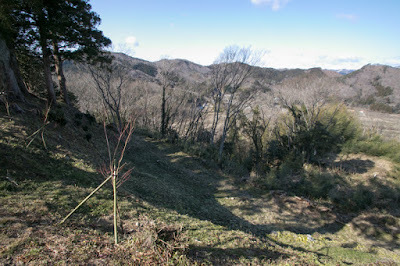 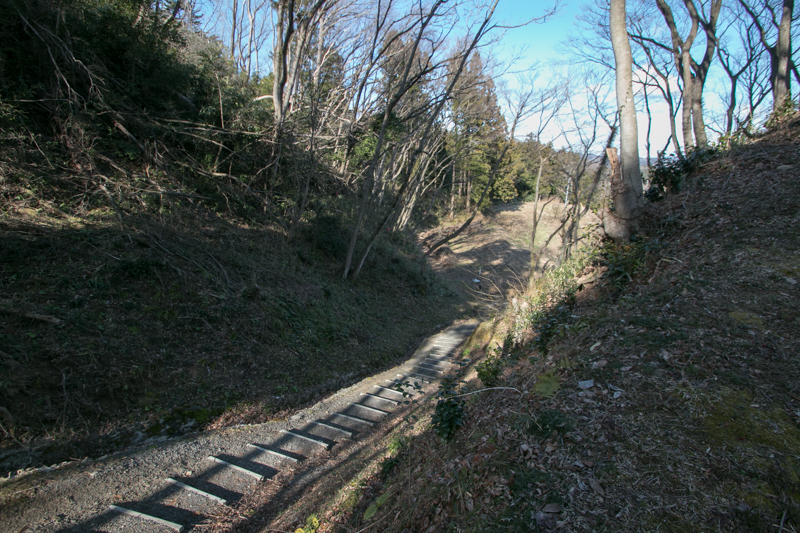 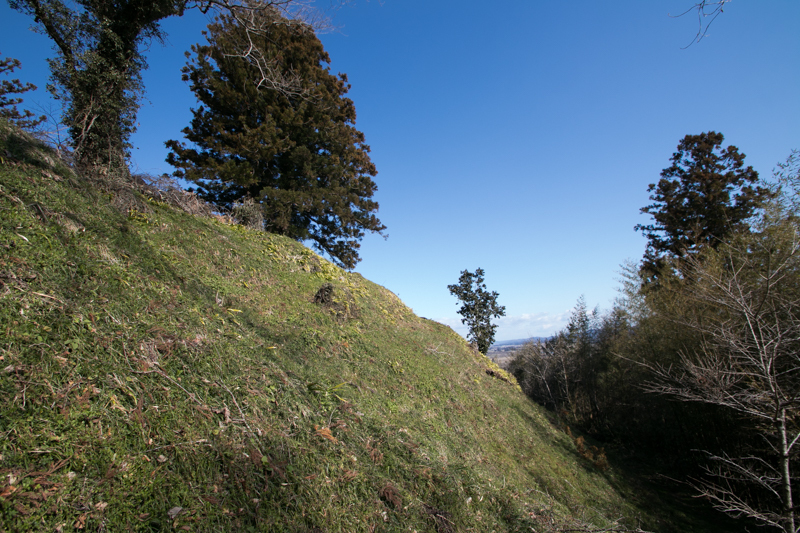 Kaneyama castle spreads over the northwestern slope of Kaneyama mountain which spreads from southeast to northwest. 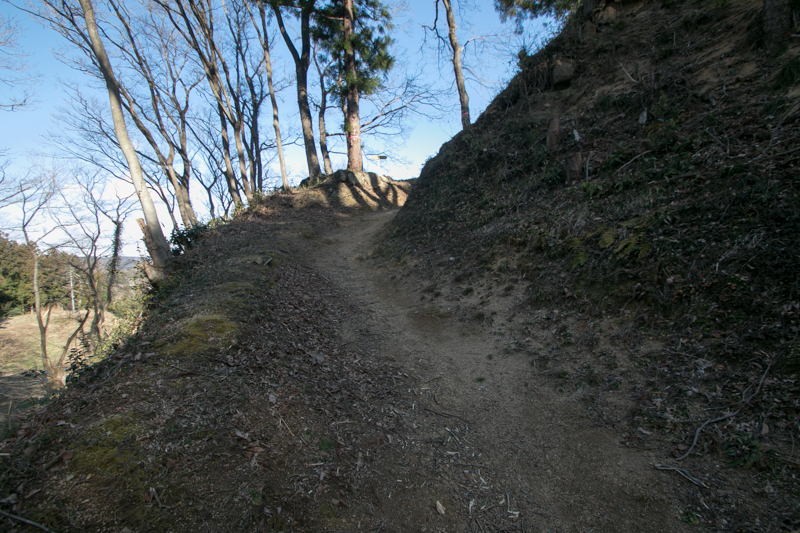 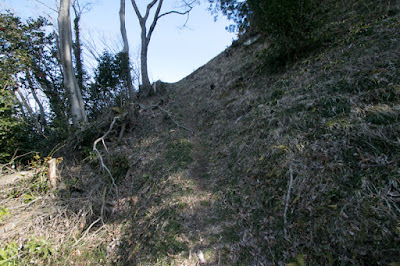 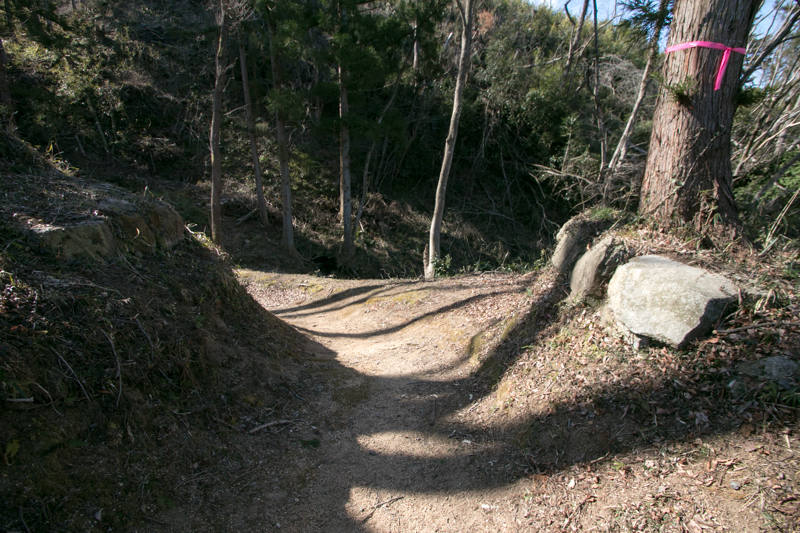 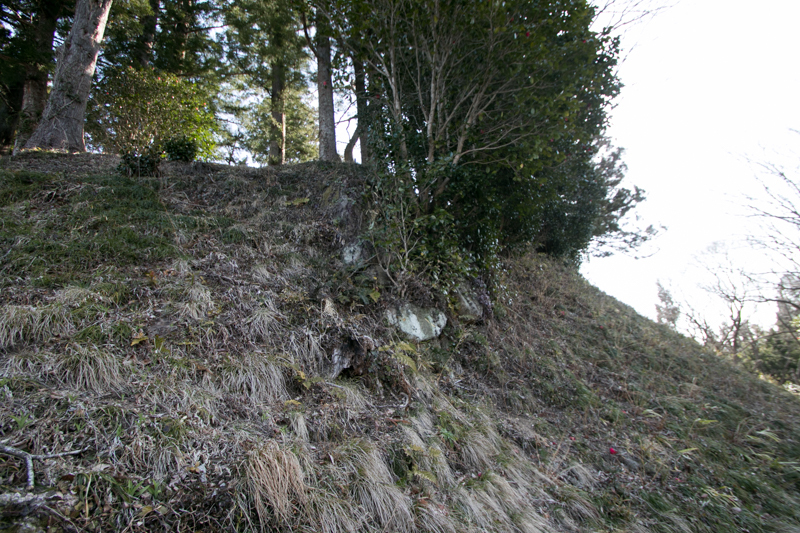 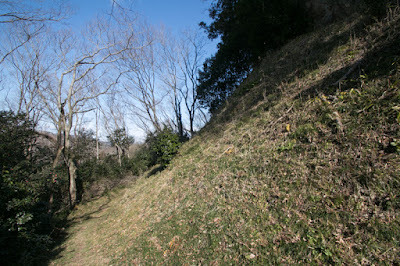 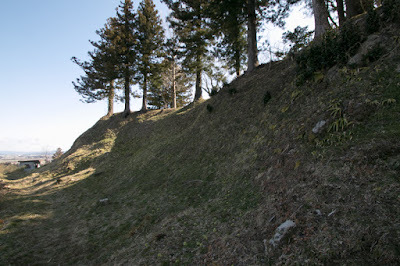 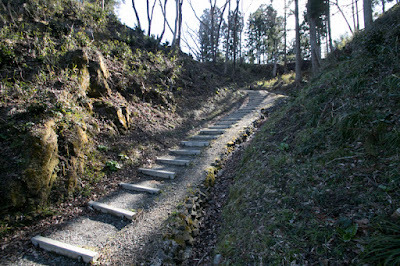 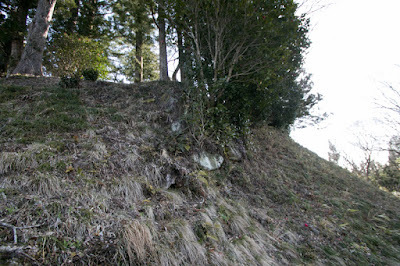 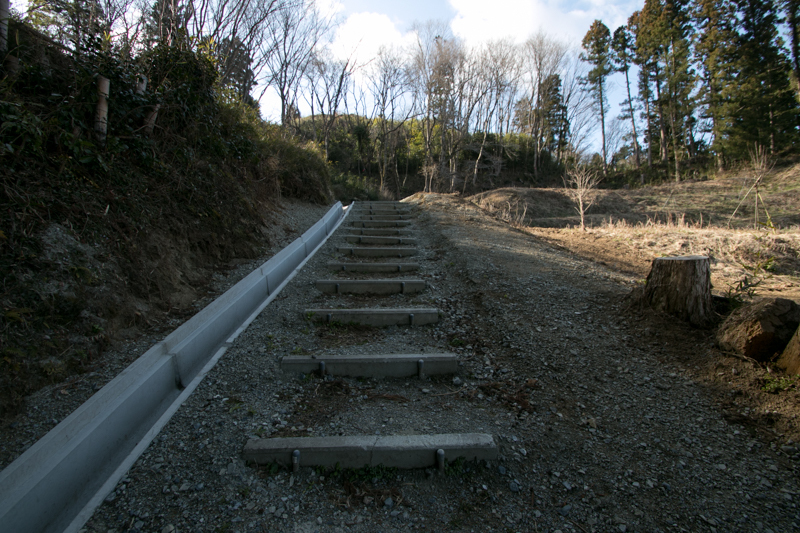 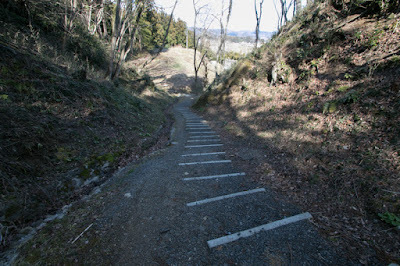 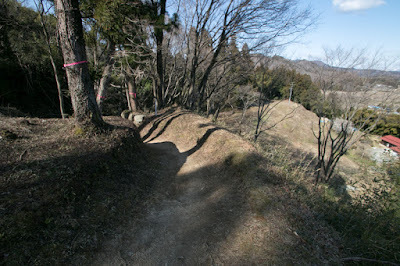 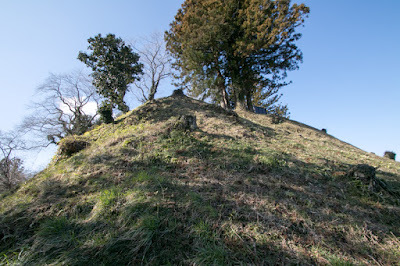 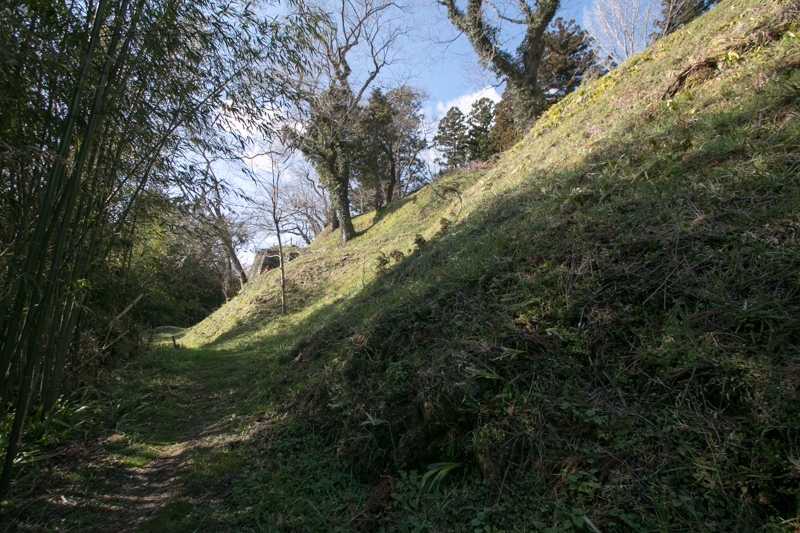 As a straight ridge continued at this point, general structure of Kaneyama castle consist of many terraces straightly lined along the ridge like steps. 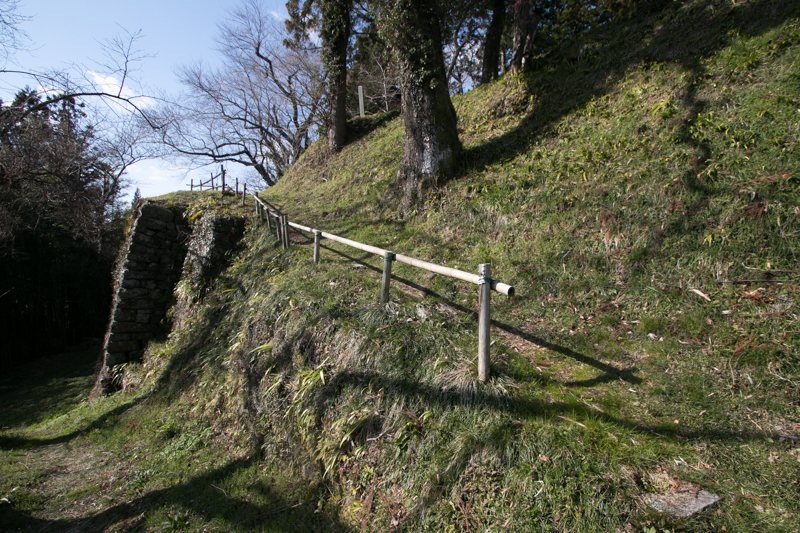 Central area of the castle is a rectangular shaped area of 50 meter long and 20 meter wide, which is separated into upper layer and lower layer. At the middle of its eastern line, there remain a stone wall of 10 meter long and 5 meter height might be used as a basement of barrack turret guarded main entrance of central area. 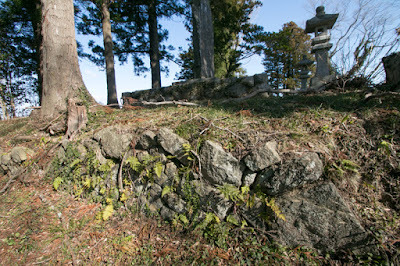 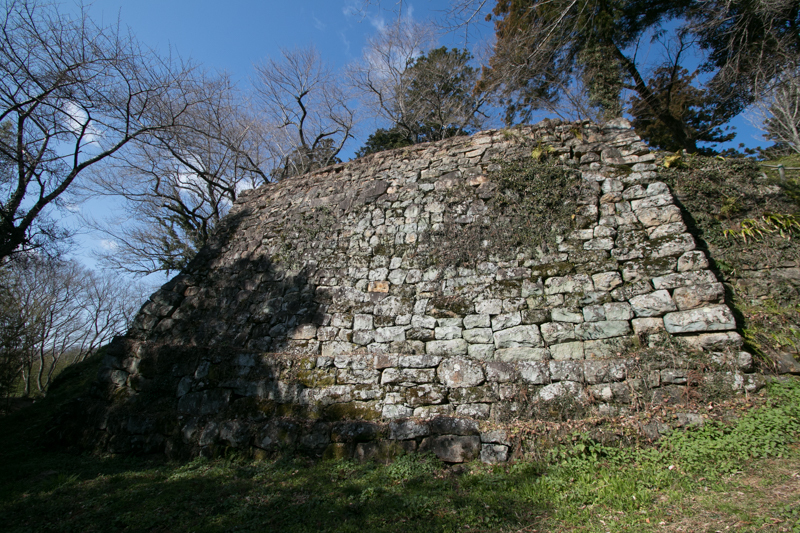 This stone wall is a splendid one among branch castles of Date clan, and built by square shaped stone blocks also seen in Sendai castle which was main base of Date clan. Secondary area surrounds central area at lower height including stable place and backside gate. 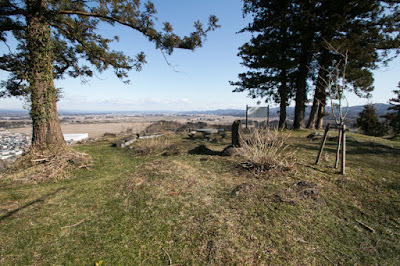 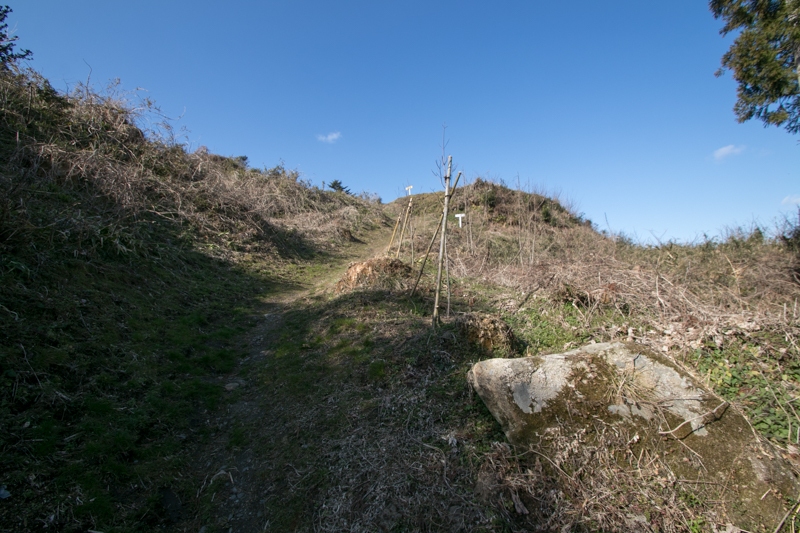 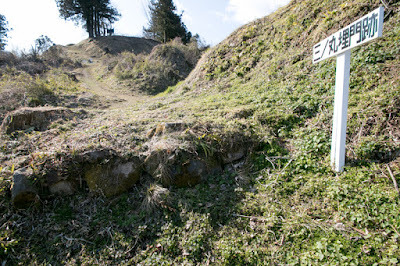 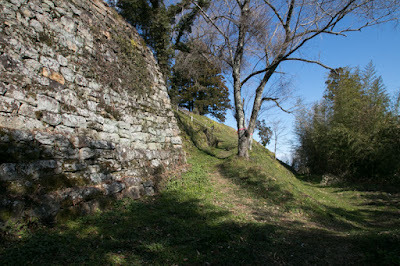 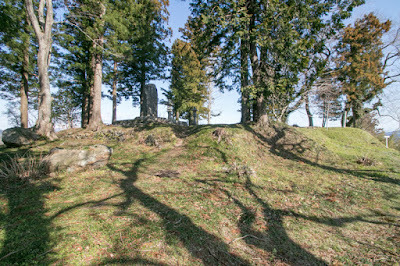 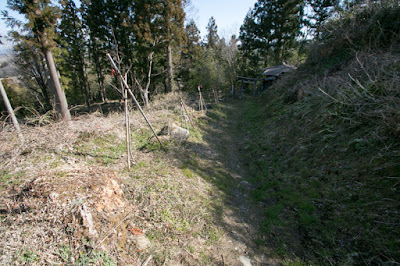 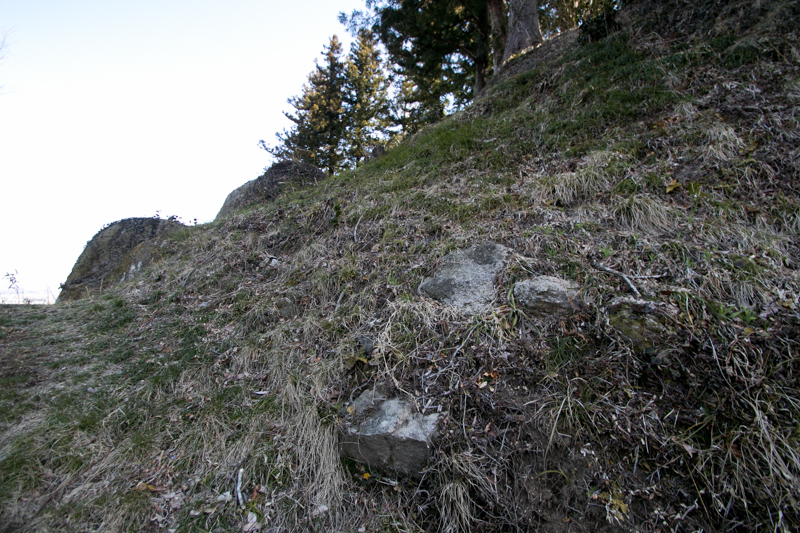 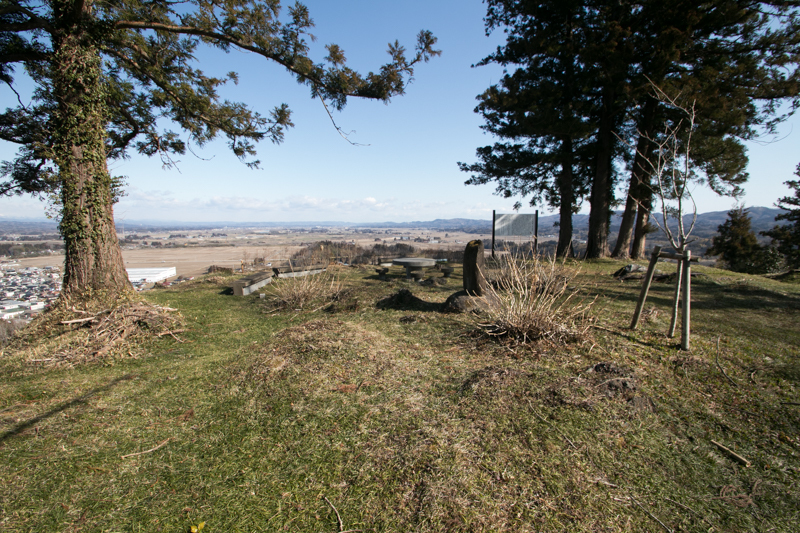 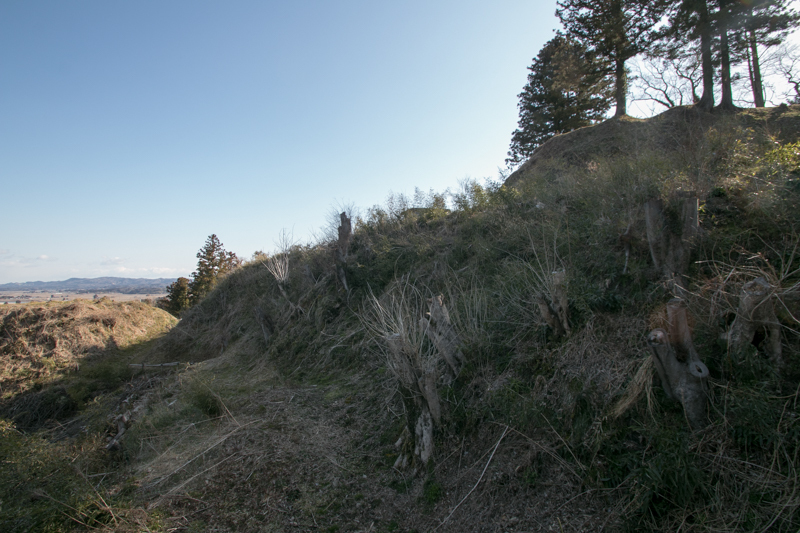 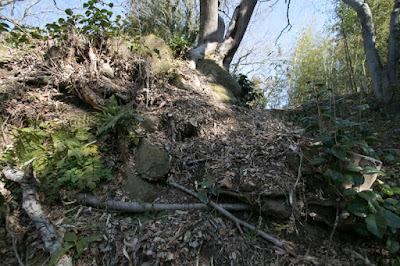 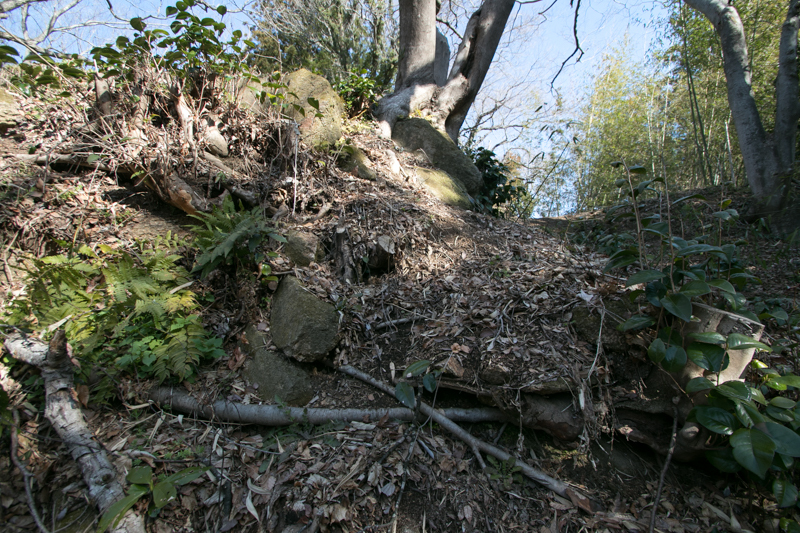 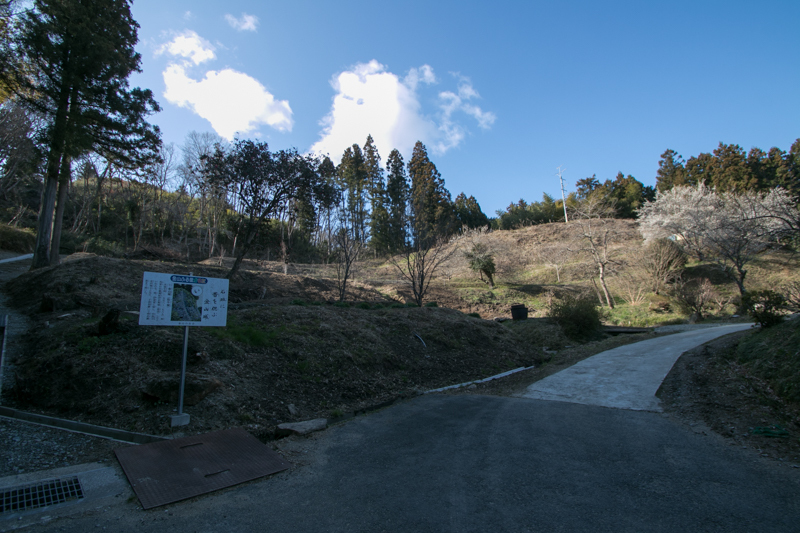 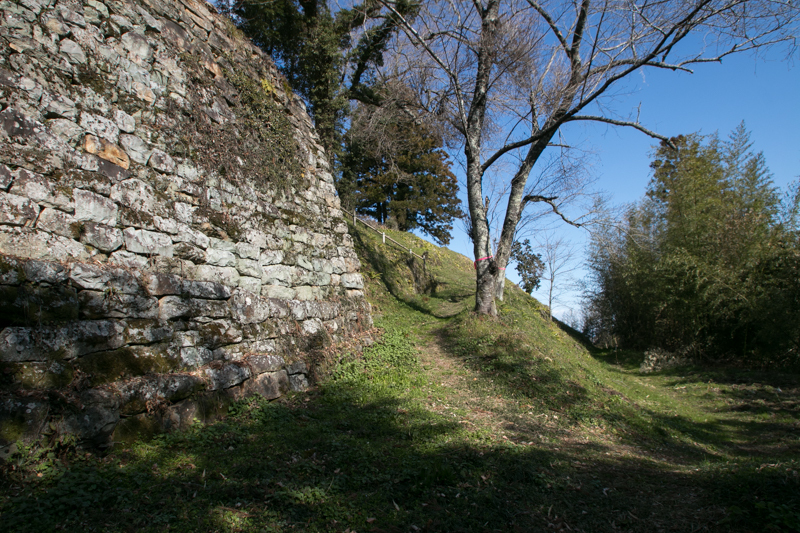 Between hillside entrance and hilltop area, several terraces such as armory area, power storage, rice storage and outer fort were built, along with gates and connecting paths. 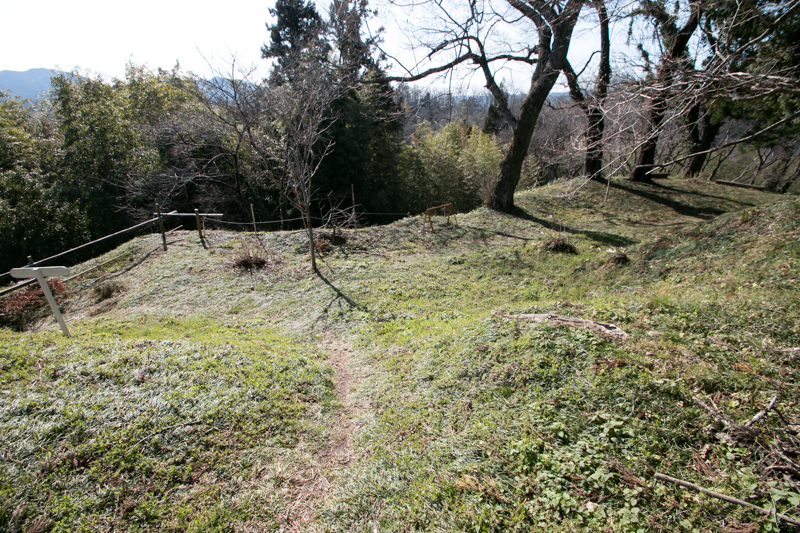 Backside of central area is protected by dry moat and outer forts, and retainers residences existed outside of hillside entrance. Total size of the castle is about 250 meter long and 100 meter wide, and even though not so large, it is well planned and constructed. 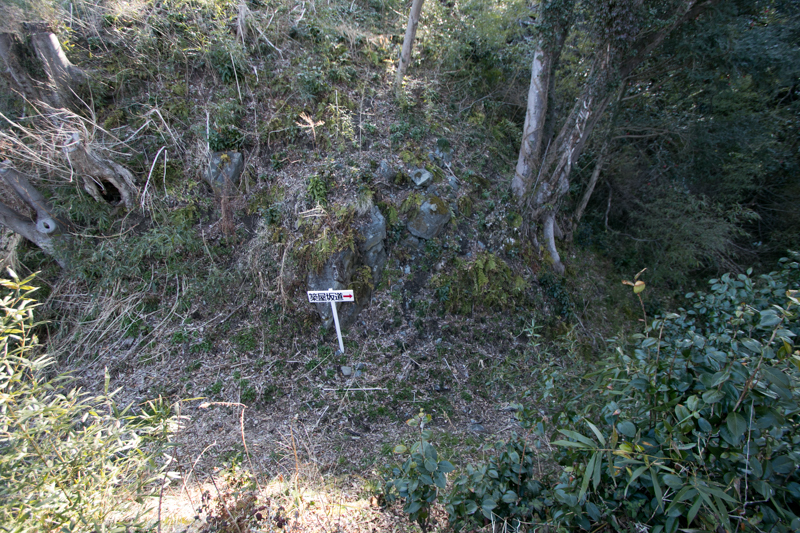 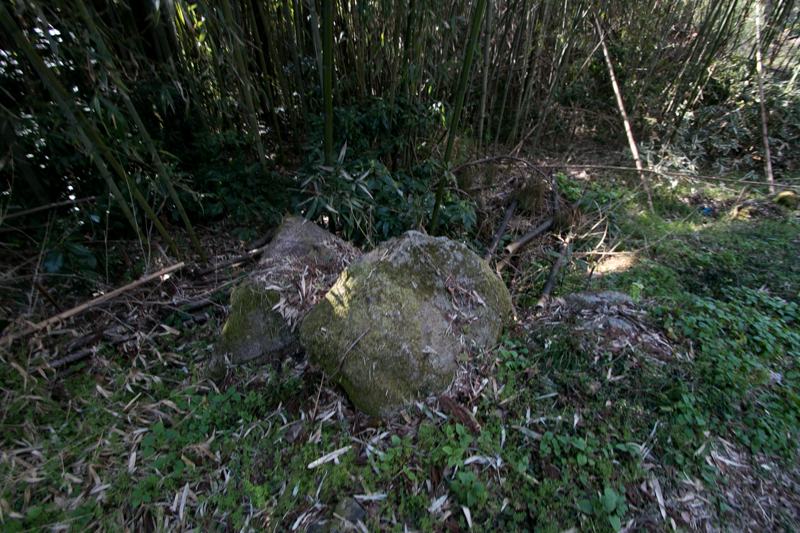 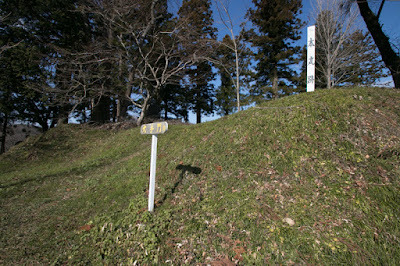 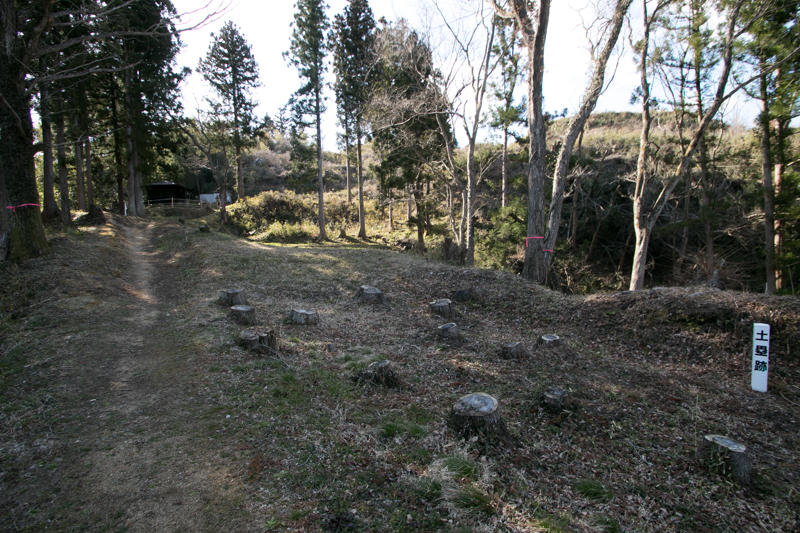 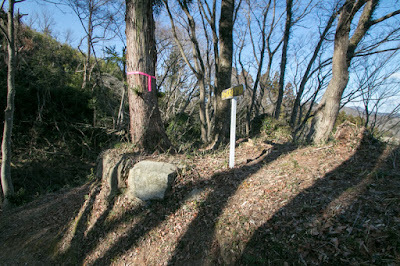 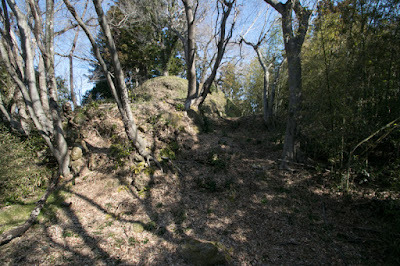 After the seizure of Kaneyama castle, Masamune Date suppressed Soma clan then Soma clan was once forced to the corner. 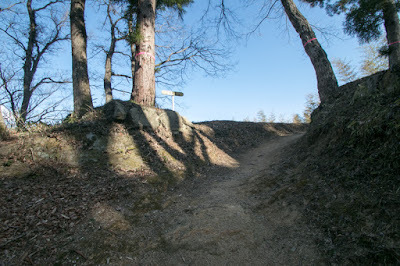 But in 1590 Masamune Date chose to subordinate to central ruler Hideyoshi Toyotomi (1537-1598), then Soma clan also followed to Hideyoshi remained as the lord of Soma area. 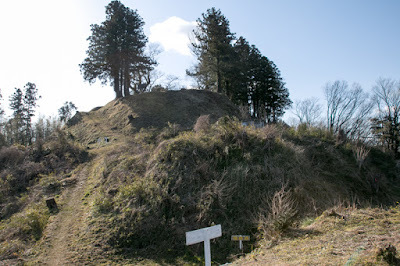 On the other hand, in 1591, Masamune Date was ordered to move to Sendai region, then Kakuda basin still belonged to Date clan but Kaneyama castle became the southern border of Date clan along with Shiroishi castle (Miyagi prefecture). 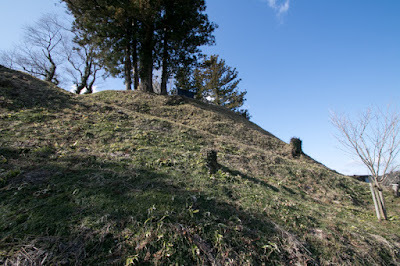 Throughout Edo era, Kaneyama castle was not a castle under “Ikkoku Ichijo Rei” (one domain one castle rule) decided by Edo Shogunate, but was kept as a branch fort of Sendai domain and held by Nakajima clan by the end of Edo era. 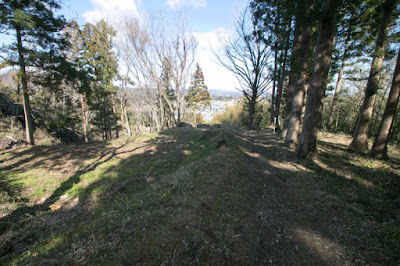 At the time of Meiji Revolution war New Government army attacked Sendai domain from this side but the war ended before arrival to Kaneyama castle. 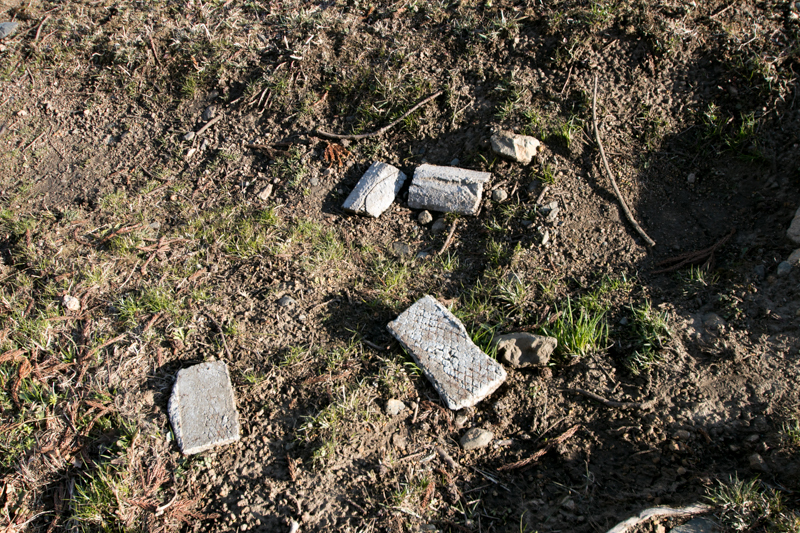 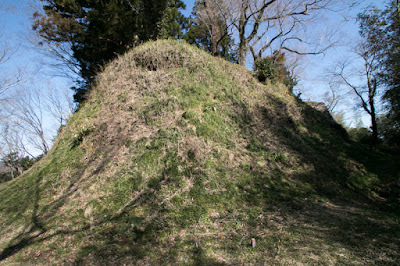 Today all building was lost, but structure of the castle including stone wall well remain on the mountain. 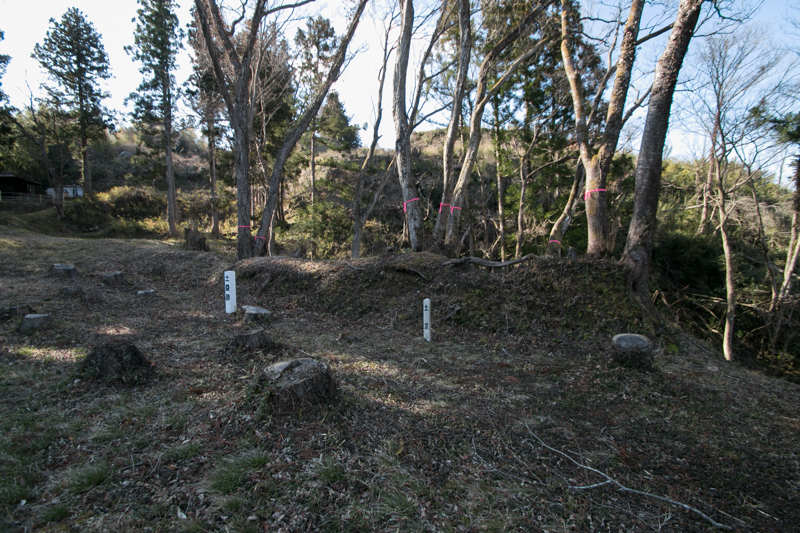 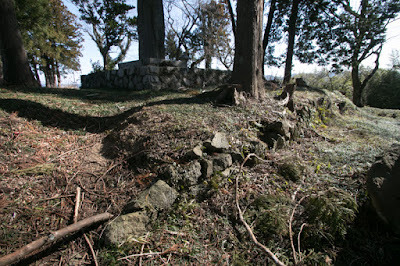 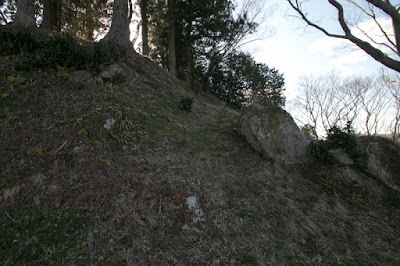 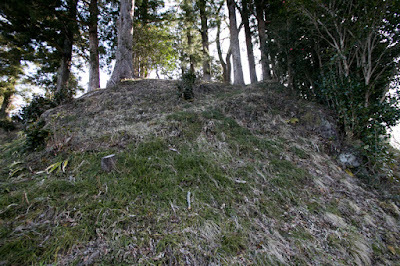 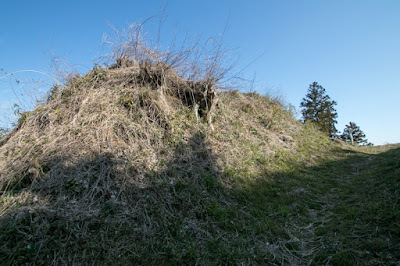 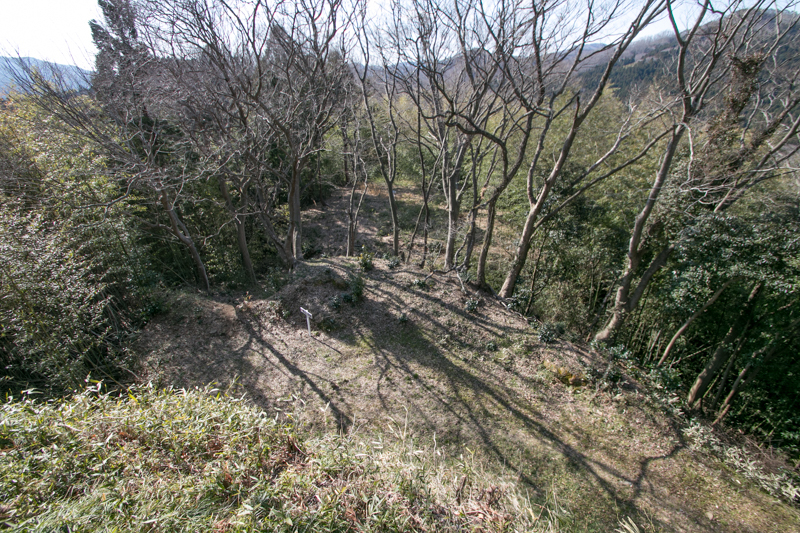 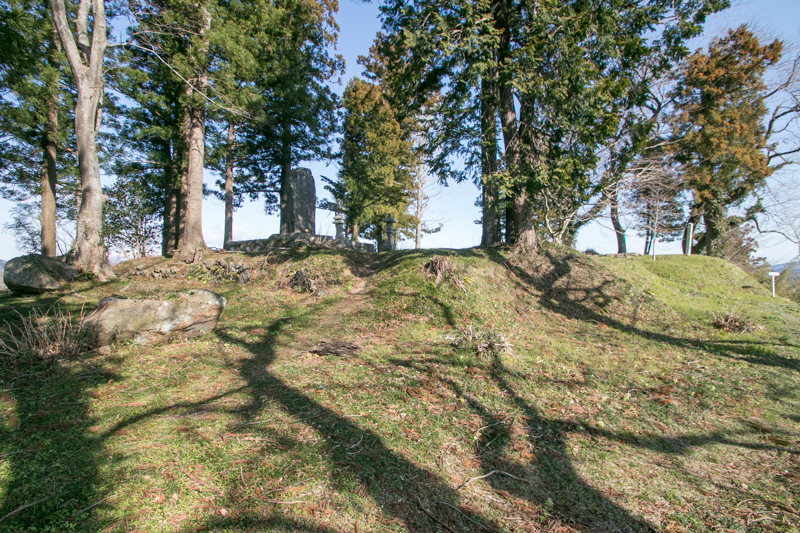 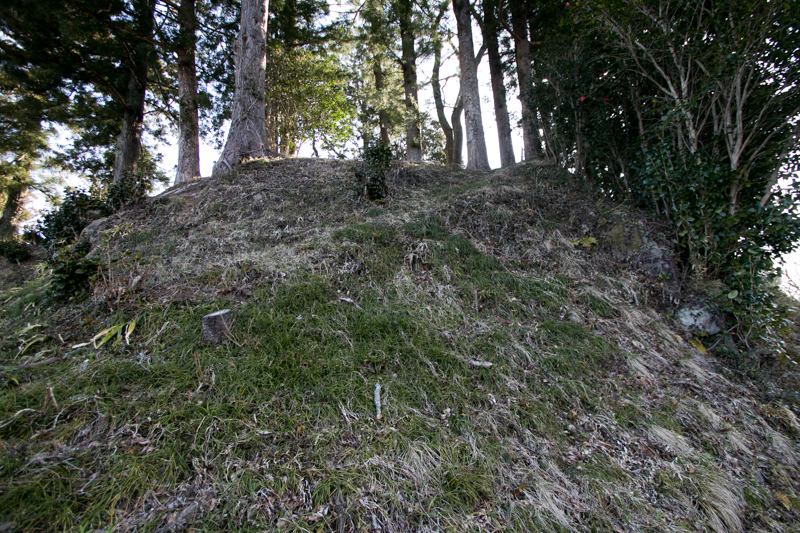 Among 21 branch forts of Sendai domain, Kaneyama castle might be the first place to keep old shape of the castle stem from medieval era. 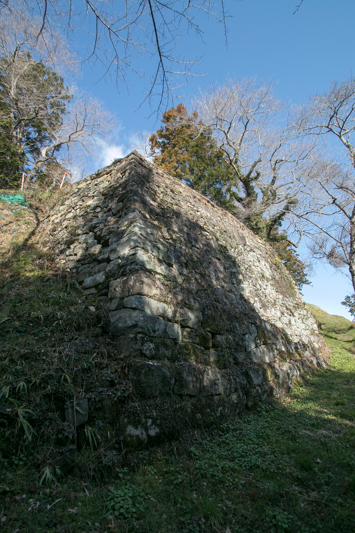 Even though not so large, but high density structures such as stone walls, clear shaped terraces and clay walls seen without tough climbing is worth for visiting. 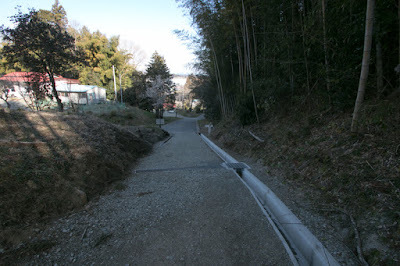 60 minutes walk or Marumori town bus (quite limited number of operation) from Abukuma Kyuko line Marumori station. 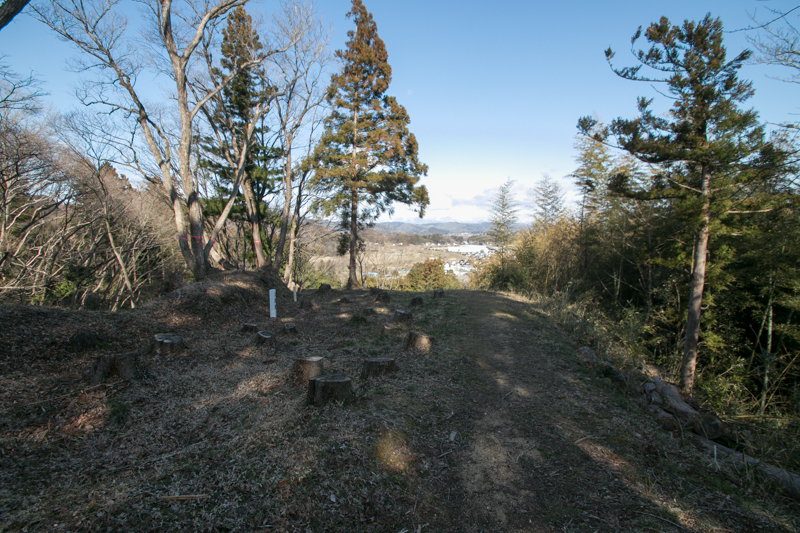 20 minutes drive from Joban Jidoshado Expressway Shinchi interchange via Route 113.